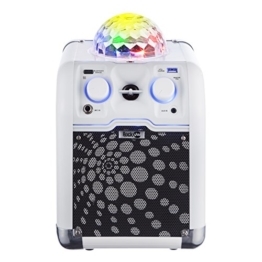 Who likes to sing out loud to the biggest hits of the stars, will have unforgettable fun with a karaoke machine. In the past, the small equipment used to be found only in Japanese karaoke bars, but no longer anymore. A karaoke system for the living room is now available in stores around the world and turns every boring evening into a wonderful and incomparably funny party. But no machine is like the other. Some machines are distinguished by high quality extras, while others completely do without additional functions. 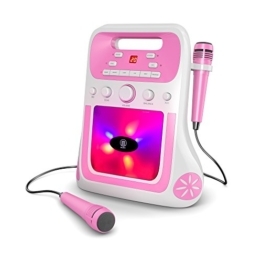 In addition, there are karaoke machines that have been specially developed for children. Nevertheless, all products have their advantages and benefits. Therefore, our guide gives practical tips how to organize a successful private karaoke party. 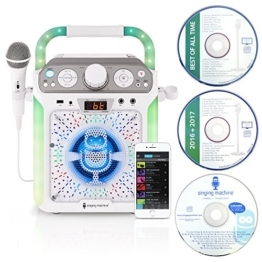 We recommend the best karaoke machines and tell you what features and functions should be included. There are some things you should consider why buying a karaoke machine. Fun with karaoke is no longer only possible in Japanese-style bars or special karaoke bars but has conquered hearts around the world. 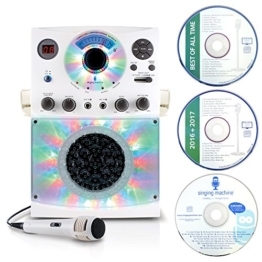 Karaoke machines and millions of songs are available at cheap prices. We present the most important karaoke equipment. Karaoke is a Japanese term which is best translated with “empty orchestra”. This means that successful pieces of music are played playback. The participants have to sing the songs live via a microphone. Many karaoke machines and games consoles such as Wii, PS3 or Xbox One provide an integrated display to read the text. There are many occasions and ways to use a karaoke device. It can contain several microphones or provide an integrated display to read the texts. The extent of technical equipment and functions of the available machines is different. With some machines you can only control the volume, while others provide an extensive selection of controllers for additional functions. 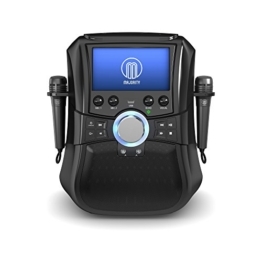 Some machines include echo control and a slider to optimize the balance between vocals and playback while other devices are more like a PA system because no display is integrated. With this devices the song texts have to be presented on external screen. 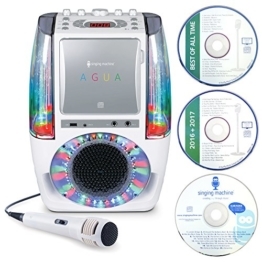 A good karaoke machine can be used for funny gaming evenings. With this funny way you can turn every party into a great happening with extraordinarily good mood. Stronger systems can even be used in discotheques. 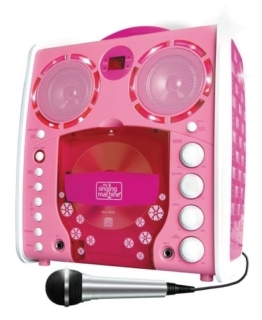 In addition, children have a lot of fun with karaoke systems. • A variety of occasions: at gaming night´s, private parties, in discotheques and in the nursery. To be able to use a karaoke machine without any limitation, you should pay attention to some important things. For example, why should you use a device without an integrated display when it is important for you to read the text? In addition, not all machines are compatible to all formats. All karaoke fans who like to have additional functions should first of all find out which karoke system meets the expectations best. Our product guide deals with the most important purchase criteria and describes the technical functions they should offer. 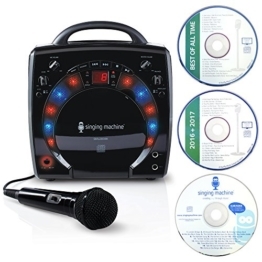 We present the individual karaoke machines and thus compare the individual systems. It is important to pay attention to the CD + G format for karaoke CDs. Only this format provides the integrated display for reading song texts. The common playing format for a karaoke system is CD + G. These are karaoke CDs that contain automatic subtitles. With the correct media, the subtitles are displayed on an integrated display or screen to allow the participants to sing the song correctly. Today, however, the CD + G format is compatible with many modern formats. Modern mp3 files or avi video files are also ideally suited to contribute to your singing activities. However, it is particularly important to know how all formats are connected to the device. Therefore, at least one USB or SD input should be included. However, also a CD or DVD player is suitable to play the songs titles. 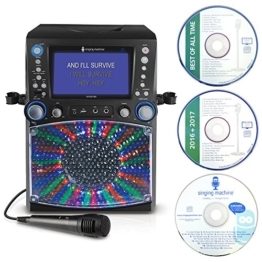 Owners of conventional DVD players can find their favorite songs on so-called karaoke DVDs. Some systems also provide a 3.5mm jack AUX connection. 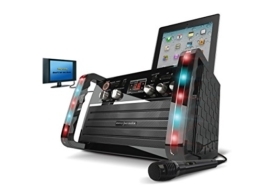 Even external stereo systems can be connected to the karaoke device. Some ports also allow data to be transmitted via Bluetooth. 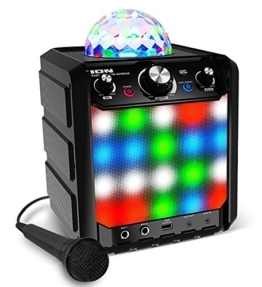 The ideal screen provides a 3.5 TFT color display for a karaoke party with few participants. However, for a party with lots of fans this device can be too small. Therefore, it is important that external screens can be connected to the system. Some karoke systems does not include an integrated display, so you basically need a separate screen to display the subtitles. If the device offers an integrated display, this should be as large as possible. It’s also more pleasant to read the lyrics when the screen is able to display multiple colors and has backlighting so nothing stands in the way of ideal subtitle display. What would a karaoke machine be without a microphone? Right, of no use. A good device has at least one microphone that can be turned on and off to avoid noise. This device should be very solid and comfortable in the hand and have a certain basis weight. It is also important that the microphone has a strong wire basket into which to sing. This wire basket ensures that no saliva and dirt gets into the micro device. Furthermore, it protects against so-called pop and hiss noises when speaking hard consonants such like p, t and s. Ideally, the basket can be unscrewed in order to be cleaned from time to time without any problem. Some systems even include two microphones, so that several people can sing together at the same time. Others even offer the option of connecting additional microphones via external connections. It may also be advisable to use a microphone stand. Especially with high-quality vocal microphones you can sing so much better. Some ports even have a special gimmick: a wireless microphone. This way one person can easily moderate through the evening while the others participants sing. Of course singing together is also possible. Of course it is also possible to use an external microphone. Both wireless and cable microphone are suitable for respective connections. In our category Karaoke Microphones you will learn what features are important for vocal microphones and which microphones we recommend. In addition to the standard playback functions such as Play, Stop and Fast Forward, etc., some devices offer high-quality additional features that make operating much easier and significantly improve the quality of the performances. We introduce the most important functions. It is definitely recommended to pay attention to other functions. Because it can be very annoying when the music of the playback is very loud and the singing of the participants is barely audible. For this purpose the karaoke system has a balance function. It makes it possible to adjust the different volume labels between playback and vocals, so the interprets are able to hear their own singing. If the balance is adjusted in favor of the participants, the overall sound will of course be quieter again. Therefore, a master volume control should be integrated, which can raise the overall volume again. Since not everyone has the same voice volume, separately controllable microphones are of advantage. Only then does a tender and shy little soul have the chance to sing against a self-confident and vocal person. Beautiful effects such as an echo leave a very special impression. The vocals sound much stronger and more professional. A rotary knob allows to activate an echo. The effect is much more intense when turning the knob on a higher level. A sudden connection of the echo provides word repetitions, which may well be intended at specific points. Other systems in turn rely on a hall function. This simulates singing in a large hall, church or in the great outdoors. The effect is similar to that of the echo. The voices are wider and create a more professional impression. Singing is significantly upgraded. A particularly important additional function in the field of karaoke is the Auto Voice Control – short A.V.C. – dar. It allows you to switch a demo song to the playback, as long as no participant sings into the microphone. However, as soon as the vocalists begin, the demo song is heard only in the background or is even completely hidden. The intensity of demo singing depends on the respective setting. Some systems also include a recording function. Thus, the performances of the vocalists can be recorded and given to them at the end of their singing. This is a particularly enjoyable opportunity to record performances, especially at competitions. But of course, the function is also suitable for practicing and then dealing critically with your own interpretation. In addition to the microphones and the speaker a strong transport feature should definitely be part of the basic equipment. After the karaoke machine is not designed to gather dust at home, transport should be made as easy as possible. Some systems are provided with two integrated, ergonomic handles or an extendable handle. It can also be pulled on two wheels like a Trolli suitcase. The weight of the systems should be as low as possible. A compact housing is also welcome.